But wait, when did lying to Congress become a crime? The US Departments of Justice and Homeland Security have been lying to Congress about Operation Gunrunner for months. So much so that you might think lying to Congress was the new "national pastime". 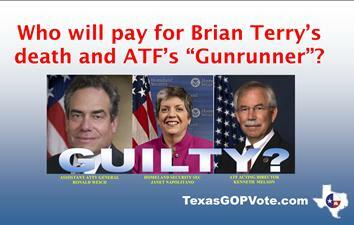 Since the murder of US Border Patrol Agent Brian Terry, members of Homeland Security's Bureau of Alcohol, Tobacco, Firearms and Explosives (BATFE or ATF) have been lying and covering up their involvement in supplying the guns used to kill Agent Terry. 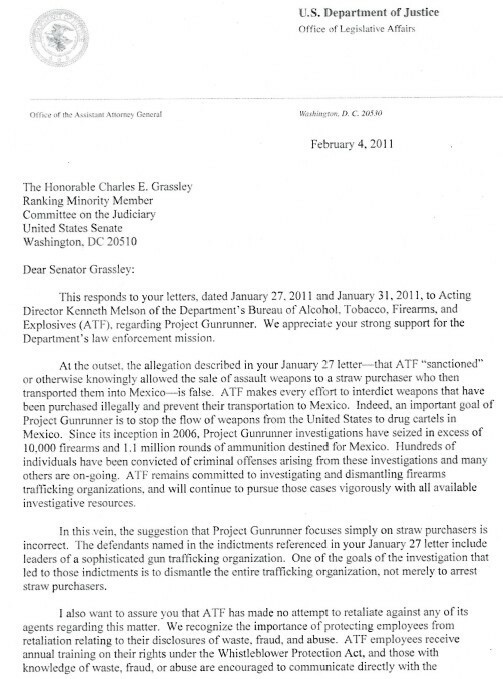 In February, I reported that Assistant U.S. Attorney General Ronald Weich denied the ATF's involvement in supplying assault weapons in a letter to Senator Charles Grassley in rep onse to his inquiries about this subject. 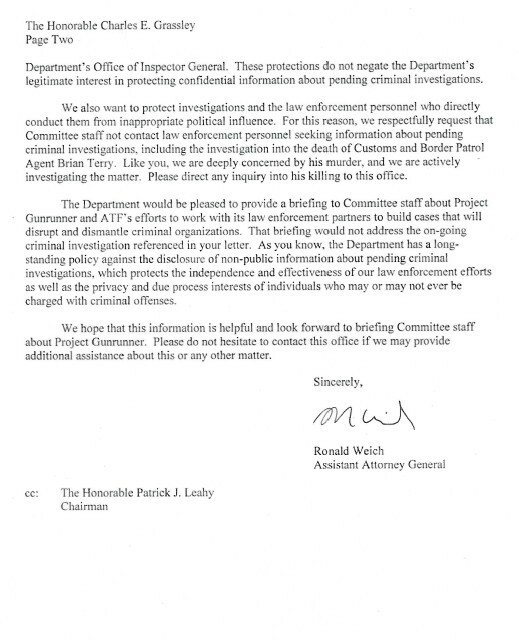 (Letter from Weich at DOJ to Sen. Grassley - PAGE 1, PAGE 2.) Why is he not being charged with lying to Congress? In my May interview with Congressman Ted Poe (R-TX), he said, "The whole idea is nonsense", Congressman Poe said about Operation Gun Runner. "A thousand or more of those weapons have gone to Mexico." Poe indicated this is an issue that Congressman Lamar Smith, Chairman of the House Judiciary Committee should be interested in looking into. So far, that has not happened, but Chairman Smith did release a statement this week denouncing the Obama Administration's plans to require additional reporting on gun purchased in Texas and three other border states. 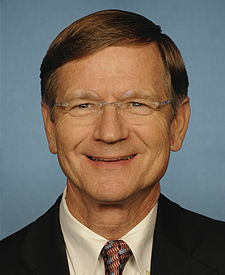 Smith stated, "It is the height of hypocrisy for the Obama administration to restrict the gun rights of border state citizens, when the administration itself knowingly and intentionally allowed guns to be trafficked into Mexico."